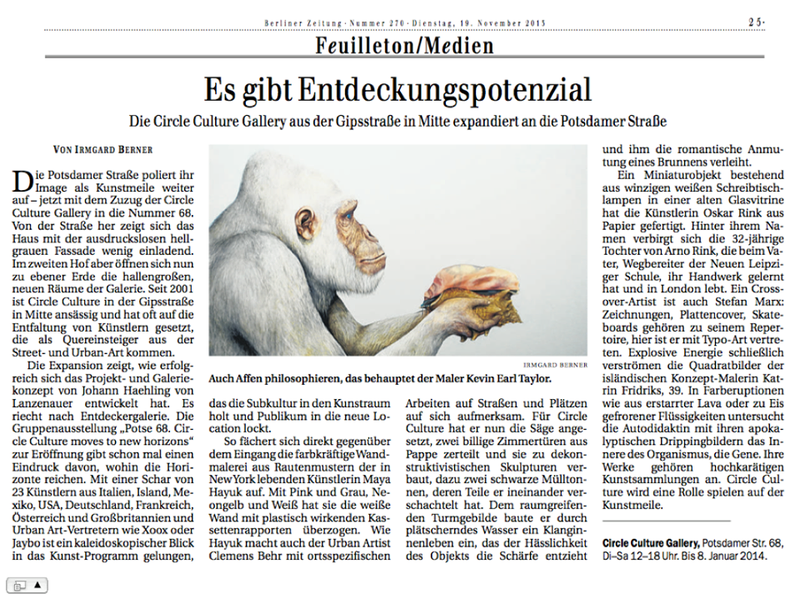 Lots of press is surfacing about Circle Culture Gallery’s new space in Berlin. Check out INTERVIEW magazine’s interview with Johann Von Haehling as well as this classy video profile on the grand opening exhibition. 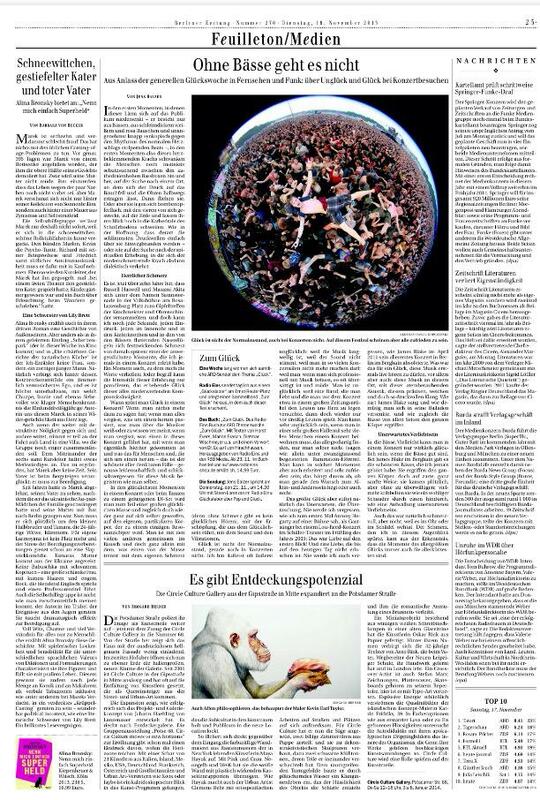 You are currently reading Berlin Press at Kevin Earl Taylor.